Wouldn’t you know it was the one with the eggs – a dozen for me and another for my neighbor. Heckydarn. A second trip to the store would be necessary. Why did I loathe making two or three trips to the car when thanks to my Fitbit I get credit for every step? I began thinking about why I try to do everything at once and none successfully, all sloppily. I concluded this was God’s message to me to lighten my load; slow down; stop and smell the roses. Exactly one hour later I was trying to spread butter across a piece of toasted French bread. It wouldn’t reach – not enough butter. Hmmm, another message perhaps? 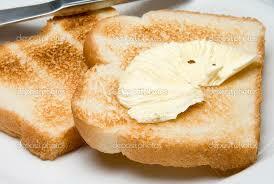 What would happen if instead of always seeking more butter, we find the discipline to cover less bread? Spreading our butter too thin is like spreading ourselves too thin – perhaps a strategy to escape our fears that we’re not good enough just as we are? Maybe I’m reading more into small insignificant tasks, but I don’t think so. A fly came into the house with a cat and it is repeatedly attacking my head as I try to eat my toast. 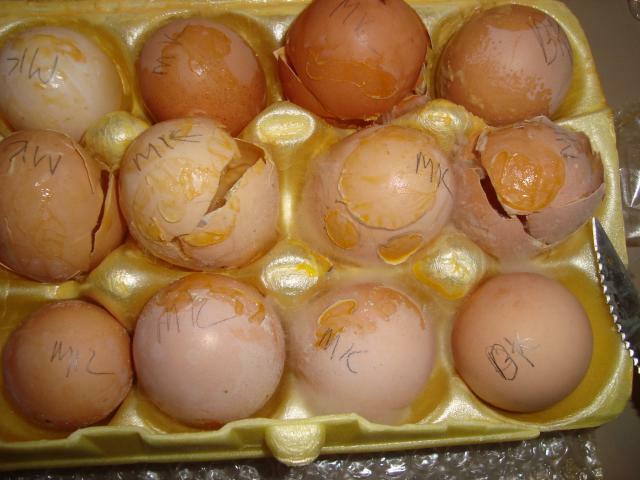 I’ll have to analyze that one later, right now I have broken eggs to clean up. This entry was posted in Coping with retirement, Good housekeeping and tagged Fighting ADD, Hidden signs in daily activities by Emily Jones. Bookmark the permalink.